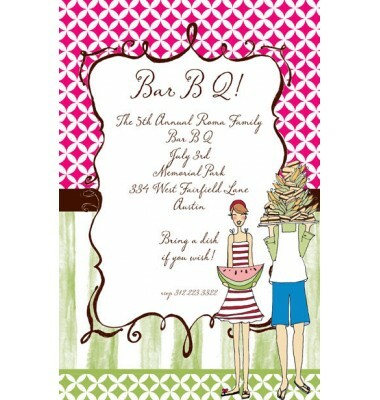 This 5.75" x 8.75" BBQ invitation features a couple on a red and white and green base card. White envelopes included. 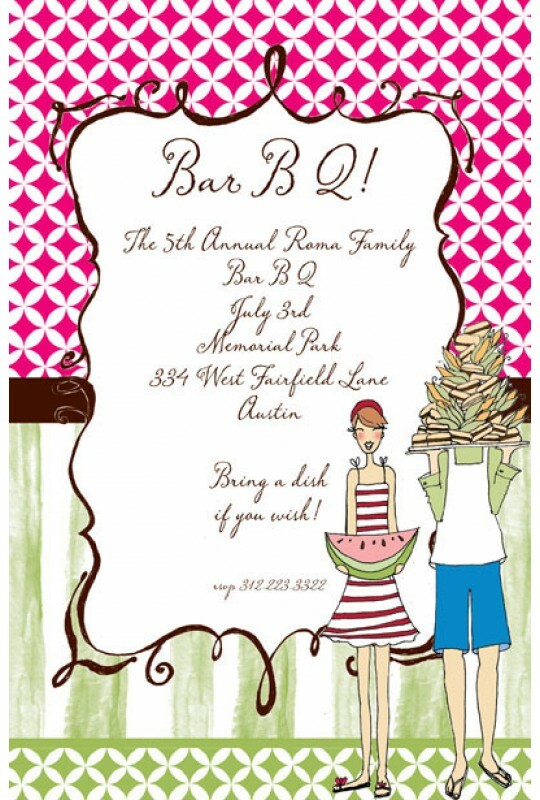 Perfect for a Barbeque, couples shower, dinner parties and more.